The movie begins with some of the longest voice over monologues to explain the world and catch us up on the story at hand. Wade Watts (Tye Sheridan) lives in a horrible trailer park a few decades in the future and enters a digital world called The Oasis where you can do anything you want. It’s a fully immersive video game. The creator of the game is a gentleman named Halliday who, upon his death, started a quest in the game to find 3 keys to obtain an Easter Egg. This egg will bequeath ownership of The Oasis to the winner which is worth almost a trillion dollars. A company headed up by Sorrento (Ben Mendhelson) wants to win the contest and run the world. All of this is explained via voice over during a few beginning scenes. I don’t know why they needed to tell us everything instead of show us. You see something like Pixar’s ‘Inside Out‘ spend 10 minutes explaining the world of that story through action and not voiceovers and the result is incredible storytelling to the finest. 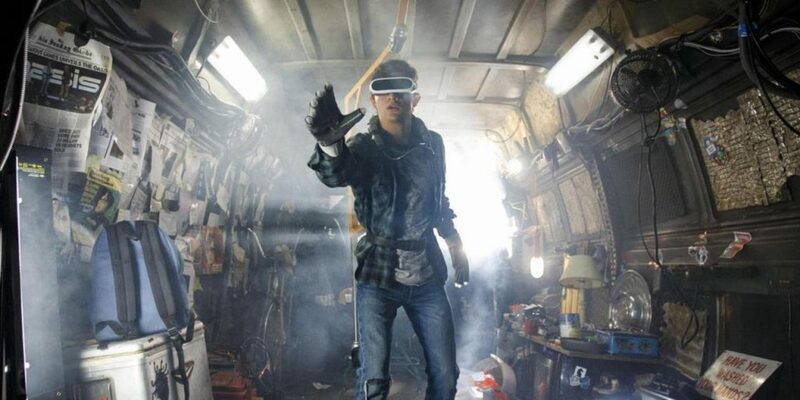 Ready Player One had to spoon feed the setup just to get us to Wade in The Oasis, with his ragtag team of friends, trying to win the competition before a diabolical company. The biggest positive of the movie are the visuals. They are incredible to say the least. An early race sequence is completely thrilling and you can tell that director Steven Spielberg loved every second of creating it. It has some shots and beats that absolutely floored me, which had me smiling the entire time. I wish the writers and Spielberg put 25% of the effort they put into the action sequences into the “real world” of the film. Wade mentions the world running out of food, extreme heat, bandwidth wars, etc. We see how run down the world is and how everyone “lives” in the Oasis at the detriment to their real selves but it’s never explored. Ever. There isn’t one moment of reflection or focus on the real world. In fact, that’s what is most frustrating about the film. In the end, Wade says that the real world is important and it’s the only place we can truly do X,Y, & Z. But we never feel that way and the entire 2 hours prior to that line undercut the ending. Wade found friends, love, adventure, money, fame, fortune, and inspired millions in the game. We couldn’t get 5 minutes of what he wanted to do outside of The Oasis to fix the real world? All we get is a vague mention of how feeling something in the real world is superior as he makes out with his girlfriend. Spielberg ends the movie like a parent telling their kid to turn off the game and go play in the yard, but his movie has no yard. It’s never explored and for a movie that drowns in voice overs, it’s a lazy miss-fire, because the ending monologue is undercut by the entire adventure we just watched. Nostalgia is *obviously* at the core of the film. In fact, I’d venture to say that I enjoy almost every property referenced in the movie which is legitimately 100s of references, but it all felt so hollow. It wasn’t a celebration. Recognizing Harley Quinn at a bar or seeing a Battle Toad in a scene didn’t bring me any joy. It just made me question what is the appeal of the references? People were cheering in my theater at certain character’s appearances, some for less than 5 seconds. The film was a scrapbook of pop culture with no point to it. Halliday, who created The Oasis, loved all the characters and music and that’s why they exist in the Oasis but to what end? We get to see how empty and lonely Halliday is, it’s pathetic. He’s a loser. A pathetic lonely man who misses out on life so that he can listen to A-Ha and play Atari. But he’s not a tragic figure in this movie, he’s a hero, worshipped even. I kept waiting for it to flip and the movie to turn on the audience, myself included, and tell us how much of the World were missing out on by checking our phones for casting updates on movies and spending hours arguing about remakes but it never does. In fact it spends its time glorifying The Oasis to the point where I have no clue why anyone would leave it for the crappy world they (we) live in. 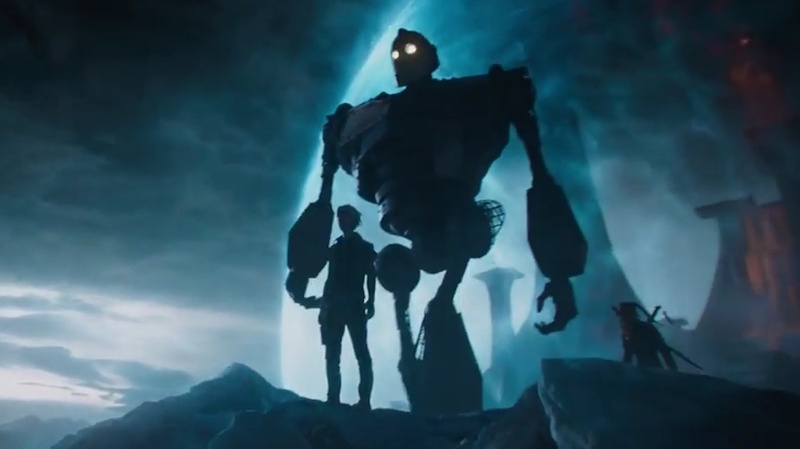 Tye Sheridan Takes the Lead in ‘Ready Player One’! This entry was posted on Thursday, March 29th, 2018 at 10:44 am	and is filed under Film, News. You can follow any responses to this entry through the RSS 2.0 feed. You can skip to the end and leave a response. Pinging is currently not allowed. « Blu-ray Review: ‘Molly’s Game’!